Breakfast to cereals, dried fruits and chocolate chips. Putting hot or cold water directly into the bag. Mix well, close the bag and let stand 3-4 minutes. 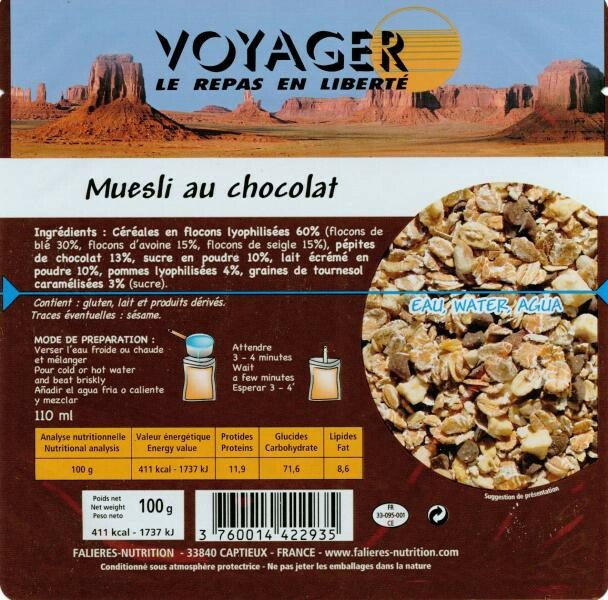 Cereal flakes (wheat, oat, rye),skimmed milk powder, caster sugar, extra rough cocoa powder 6%, dried fruits, caramelized seeds.